The AGHP will host its second webinar on March 24, 2019. Titled “Sediment and Large Wood Trapping Structures: Best Options and Functional Design Approach”, Guillaume Piton of IRTSEA Torrential Erosion, Snow and Avalanche Research Unit in France will discuss sediment and large wood trapping structures. The presentation will include industry best practices along with functional design and approach methods. This entry was posted in Education, News. Bookmark the permalink. 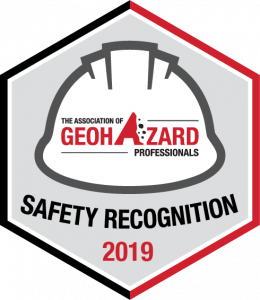 The Association of Geohazard Professionals (AGHP) was created to support the development of standards, specifications, and best practices concerning the design and implementation of geohazard-related technologies and products; and to support and provide education to the Geohazard Community and those it serves.